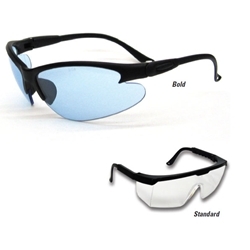 My Dealer Supply - Safety Glasses<br>"Bold or Standard"
High quality, lightweight, comfortable fit. OSHA approved. Glasses meet ANSI standards, and block 100% UV rays.